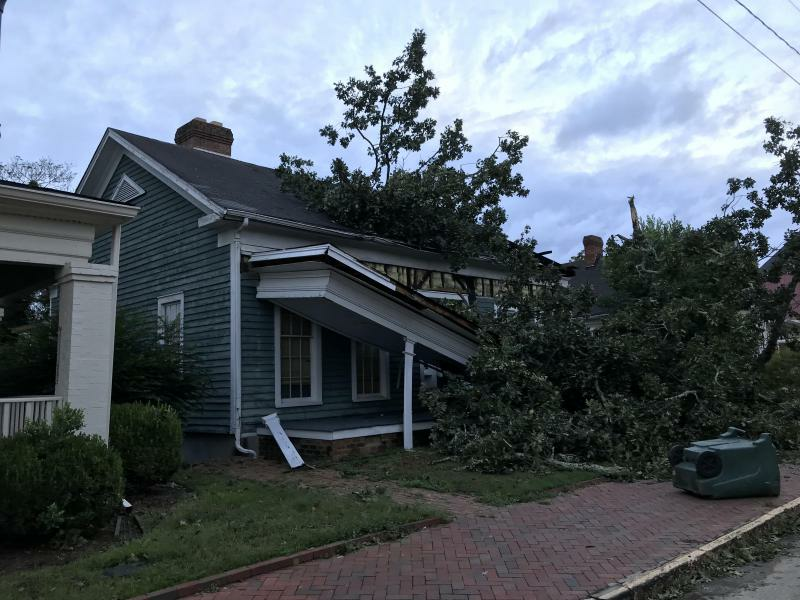 Trees damaged homes in Macon as Hurricane Michael blew through. Central Georgia continues to clean up following Hurricane Michael. Damage was widespread and hit some communities harder than others. GPB’s Josephine Bennett reports.